I’ve always been a proponent of not riding more bike than I need, and Sea Otter’s dusty dirt lanes don’t exactly require the latest in down-country technology. Instead, I needed something small, agile, and that I could fold in half for easier portaging up those stairs that nearly killed me on that motorbike. 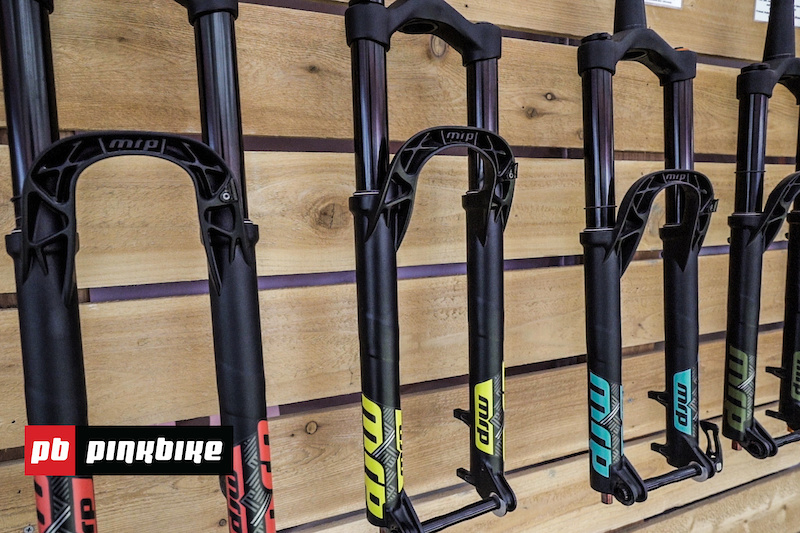 The final day’s mission: track down a bunch of the latest (and maybe greatest) suspension forks from the folks at RockShox, Fox, Marzocchi, X-Fusion, Trust, Öhlins, MRP, and DVO. One of those outfits had a prototype coil-sprung shock to show us, too. There’s more than suspension forks out there, though. Sarah Moore spotted Kaysee Armstrong’s Liv prototype, and RC sat down with Pole’s Leo Kokkonen to learn about their wild looking Stamina 140. Speaking of wild looking, Bowhead Adaptive e-Bikes showed RC their articulating front suspension that helps to keep the vehicle stable without requiring widely spaced front wheels.